When any Veteran dies, we take our responsibility of acknowledging the individual's service to our country very seriously. We are committed to ensuring that each Veteran receives the honor and respect they deserve. 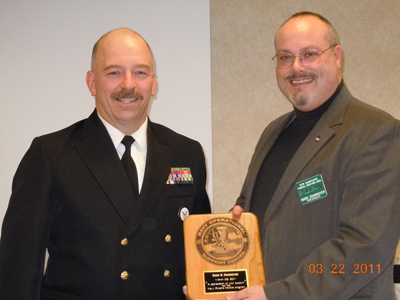 Retired Commander Dave Kenney is shown below, presenting a plaque to Mark Cournoyer, in recognition of his on-going assistance and support of the U.S. Navy's Funeral Honors Program. 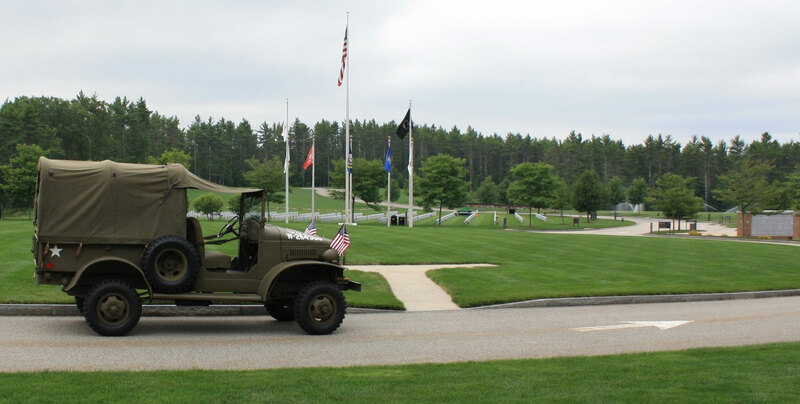 Over the years, Mark has assisted Commander Kenney with several demonstrations of Full Military Honors at the New Hampshire State Veterans Cemetery. 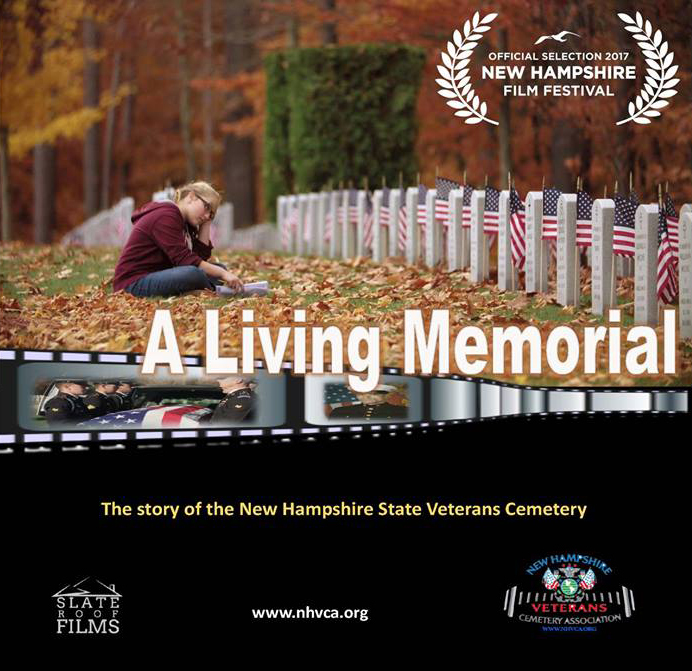 All branches of the Military Funeral Honors teams have taken part in the demonstrations, as well as for the filming of A Living Memorial-the Story of the NH State Veterans Cemetery. For More Information, Call Toll-Free 1-800-827-1000, or Visit the VA web site at www.cem.va.gov. • Service-Related Death - VA will pay up to $2,000 toward burial expenses for deaths on or after September 11, 2001. VA will pay up to $1,500 for deaths prior to September 10, 2001. 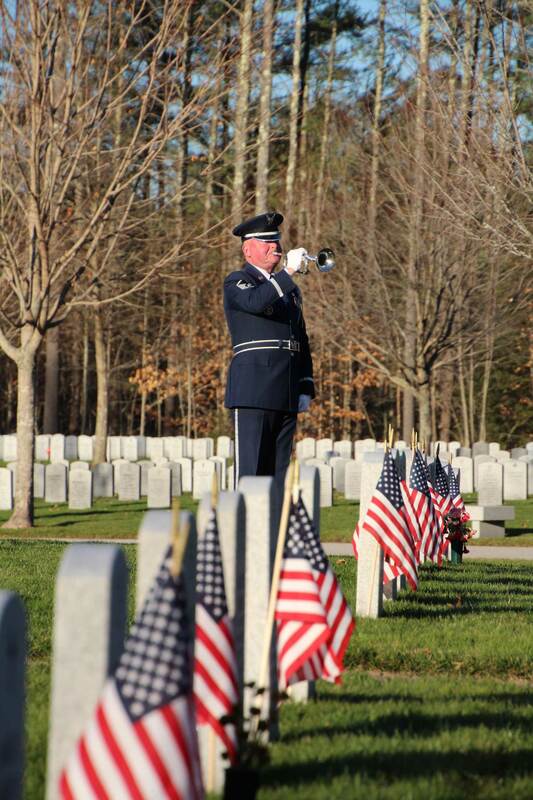 If the veteran is buried in a VA national cemetery, some or all of the cost of transporting the deceased may be reimbursed. 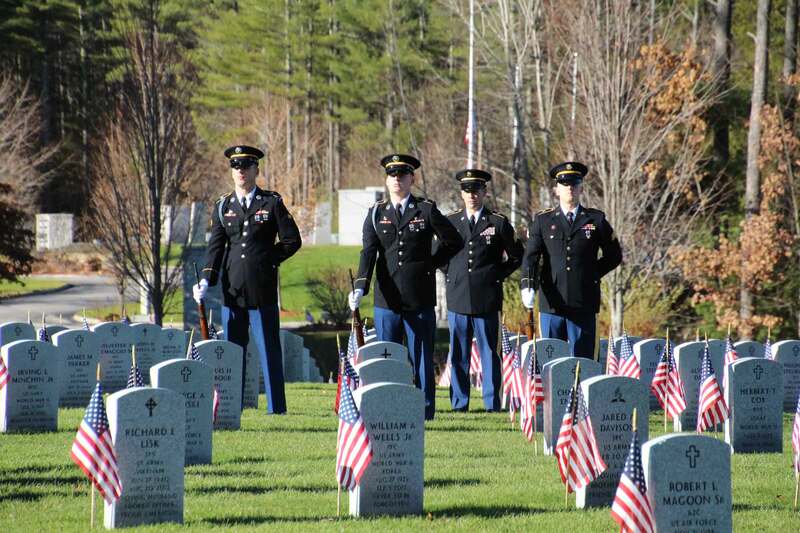 • Nonservice-Related Death - VA will pay up to $300 toward burial and funeral expenses, and a $300 plot-interment allowance for deaths on or after December 1, 2001. The plot-interment allowance is $150 for deaths prior to December 1, 2001. If the death happened while the veteran was in a VA hospital or under VA contracted nursing home care, some or all of the costs for transporting the deceased’s remains may be reimbursed. 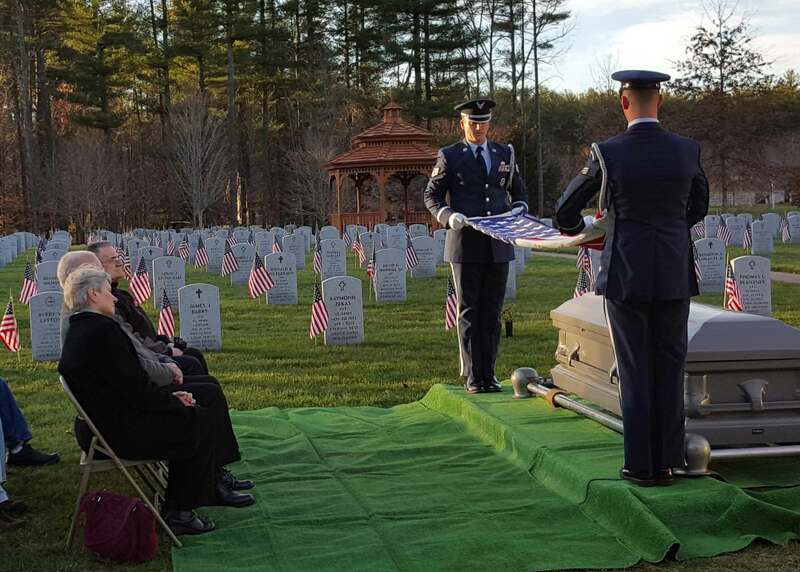 The United States Government provides an American flag to drape the casket of a veteran who was discharged under conditions other than dishonorable. 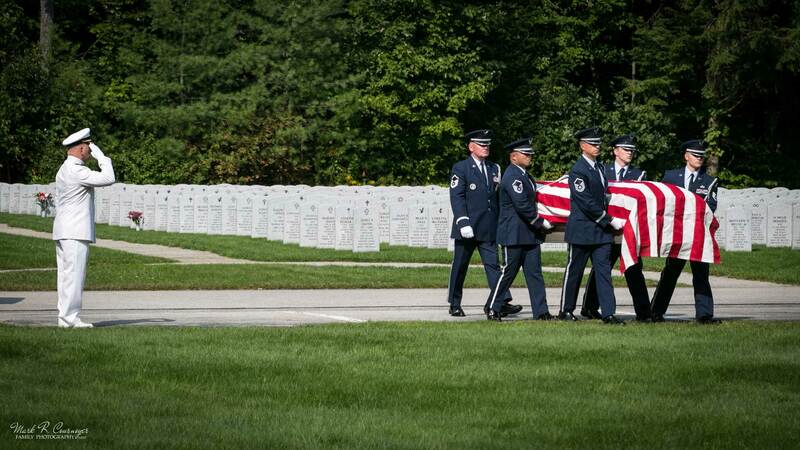 After the funeral service, the flag may be given to the next of kin or a close associate of the deceased. 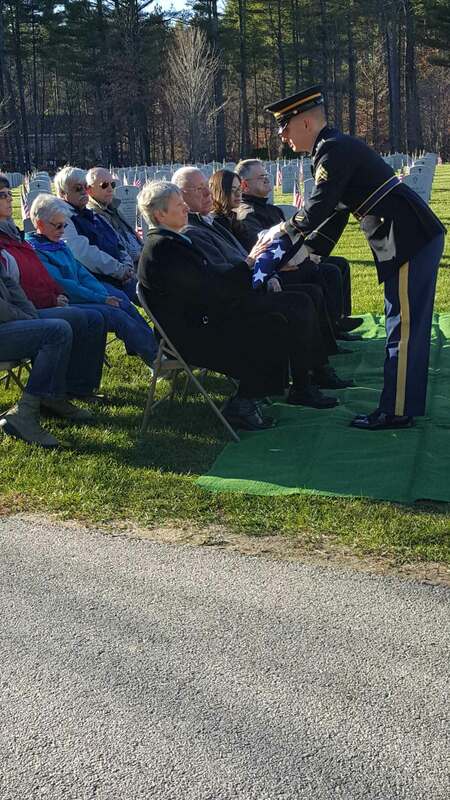 The staff of Cournoyer Funeral Home will gladly coordinate all of the logistics involved in arranging a service with military honors.